2017-2018 Grils Soccer Tryout Now Posted! 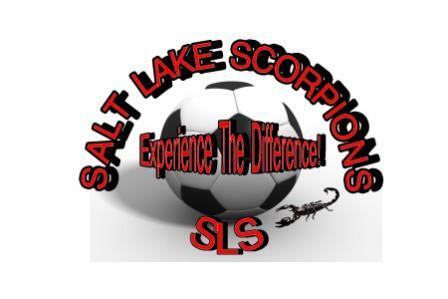 Salt Lake Scorpions was organized in 2001 with the idea of providing a more unique and personalized soccer experience for Female players. The goal of SLS is to provide excellent ball handling and soccer skills essential to players and teams. Superb ball handling and mastery of these skills is seen in virtually all players who have gone through SLS training. 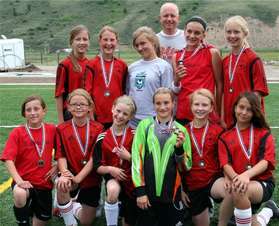 SLS will provide players with the confidence and training to play at the most competitive levels. Much of the success I have acheived in soccer, I owe to Rob Horn and his competitive soccer program. As a coach, Rob was masterful in teaching me the necessary skills to compete at the premier level. He also taught me the importance of being dedicated to the sport, gave me the desire to work hard and instilled in me the determination to be the best soccer player I could be. Thanks rob ! Rob Horn has taught me a lot of different things that I have been able to use in my life. He has taught me dedication, respect, basic skills, leadership, and responsibility. Whether it was at practice or a game, I learned to be dedicated to the sport, to my team and my coach. I have developed a great skill base to work and progress from. Through Coach Rob's practices and drills, I was taught basic soccer skills that have helped me become the player I am today. While playing for coach Horn, he trained me as a team captain. I learned leadership skills and responsibility for my team. It has been my privilege to train under Coach Horn.